118 Grey Street, central next to Grey's Monument and Monument Metro Station. Sunday - Thursday 11am - 12am, Friday 11am - 2am, Saturday 11pm - 1am. Beers: John Smiths Extra Cold, Fosters, Moretti, Erdinger, Timmermans, Amstel, Heineken, Tiger and Guinness Cold on tap. Real ales include Deuchars, Wylam Gold Tankard and Mordue Northumbrian Blond. Strongbow, Strongbow Dark Fruit and Symonds cider also on offer. A good selection of spirits, wines and cocktails also on offer. Meals served from 11am - 8pm includes sides and nibbles £2.25 - £4.50, soup of the day £3.95 (with ciabatta), main meals £6.95 - £10.95, paninis, sandwiches or wraps with handcooked crisps £5.95 (add Maris piper chips or skinny fries £1.00, sweet potato fries spicy curly fries £1.50), jacket potatoes with house salad £4.25 - £5.95, burgers and gourmet burgers £6.95 - £8.25. Kiddies menu - all meals £3.95. Cocktail happy hour from 5pm - 8pm with 2 cocktails for £7.95. Two main meals and a bottle of house wine for £20.00. Burger and a pint £5.95 Monday - Thursday from 4pm - 8pm. Wines - buy 2 glasses of wine and get rest of the bottle free. 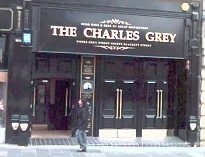 One of the most famous public meeting places for the townsfolk of Newcastle, The Charles Grey, has been renovated and is a brand new public house for all to enjoy. 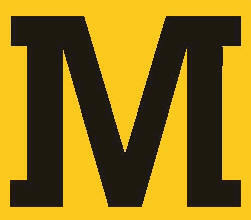 The bar was formerly known as FM's and has been renovated to a high standard. Expect real ales, an extensive wine and cocktail selection, beautiful surroundings, flickering candles, deep sofas, large lavish banquet tables, ambient lighting and friendly staff. The bar caters for parties of all shapes and sizes and provides banquet tables, candelabra, your own private bar and beautiful décor. 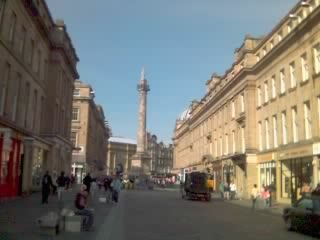 For bigger parties there is a top floor above monument square with the best view in town of the famous Charles Grey statue. There are 2 levels with an upstairs area and with the Basement Tiki bar now located downstairs. There are stairs to all main floors. There is plenty of seating on all levels with wooden benches by the windows and tables and chairs. The main bar is on the first floor and there is a further smaller bar upstairs which is open when it is busy. The upstairs bar on the second level has further seating with high tables and chairs and more seating by the windows. A function suite is available free for parties of 250 persons in the upstairs room. Buffets can be requested - ask at bar for details. Cash back facility available. The bar is decked out tastefully and has mainly wooden fitments throughout with old portraits of elder statesmen on the walls. The lighting is subdued in the evening giving the place a cosy feel. The bar is mainly frequented by locals, students, shoppers and business people. It is very popular at all times, especially at weekends and with the student crowd. It makes an ideal meeting place for the football crowd on match days. The range of meals also make it very busy on a lunchtime. 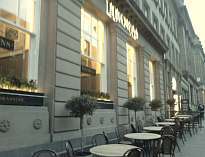 A small outside seating area is open in fine weather with waiter service. Disabled access very good as a lift is available to all floors. Toilets are small and clean.